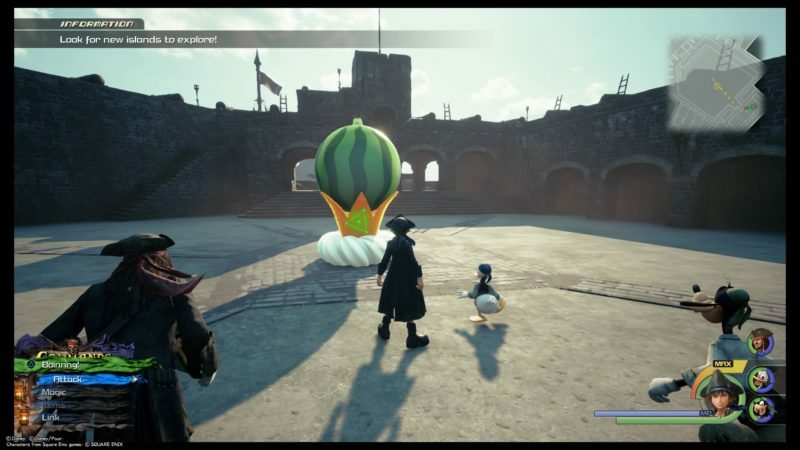 If you have played Kingdom Hearts 3 to a certain extent, you would have noticed these flan mini games in certain worlds. They are known as the Flantastic Seven as there are seven of them. 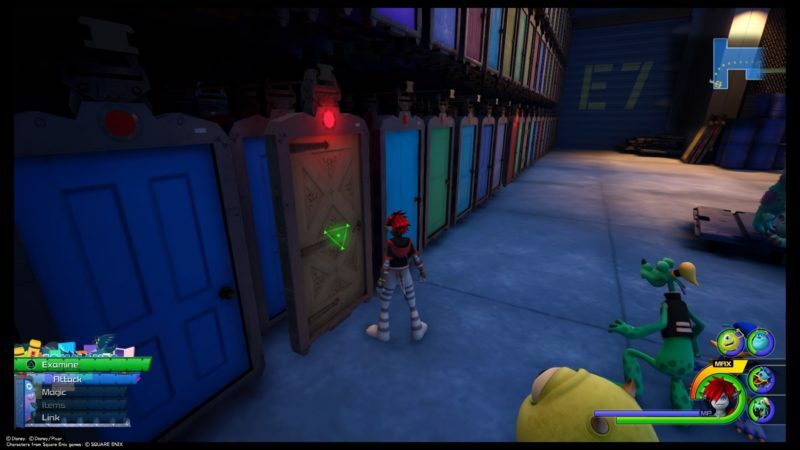 You can find them in Olympus, Monstropolis, Toy Box, Kingdom of Corona, Arendelle, The Caribbean and San Fransokyo. All of these Flantastic Seven provide different games and you will win rewards if you exceed a certain score. If you go above 10,000 points, you should get the basic reward whereas 23,000 (may vary) gives you the higher level reward (which is a skill). 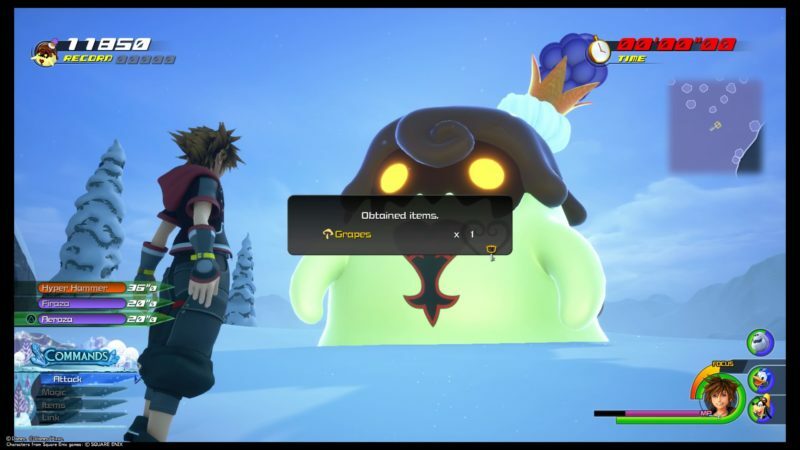 Here are all of the exact Flantastic 7 locations in Kingdom Hearts 3. Some of them may only be available after you’ve completed the world. 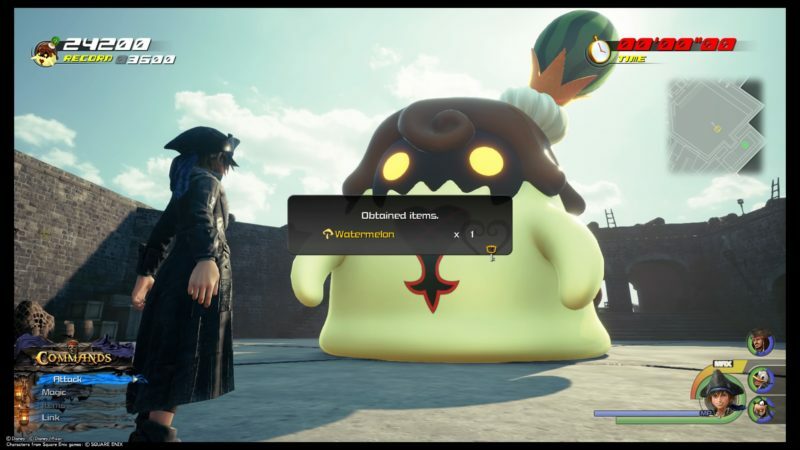 You also need the ingredients to craft the Ultima Weapon. The first one is the Cherry Flan. 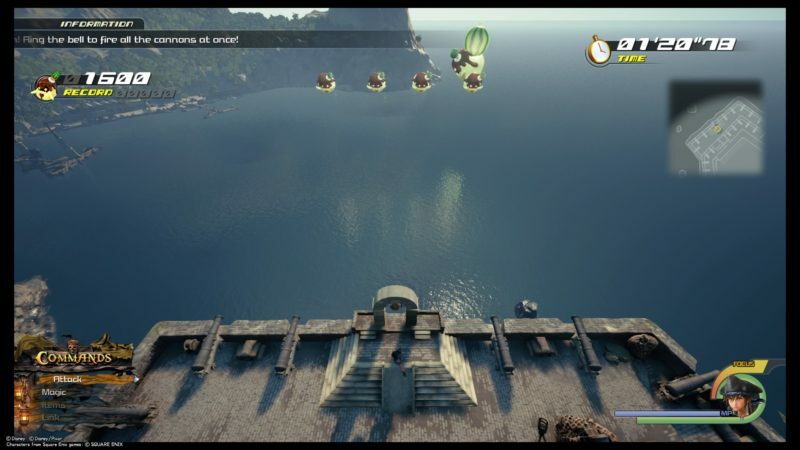 You can find it in the world of Olympus, but specifically in Thebes. Go to the save point called Overlook. You will see plenty of stairs heading up. Keep following the stairs up and you’ll eventually reach the Cherry Flan. You can refer to the radar for a better picture. This mini game is simple. 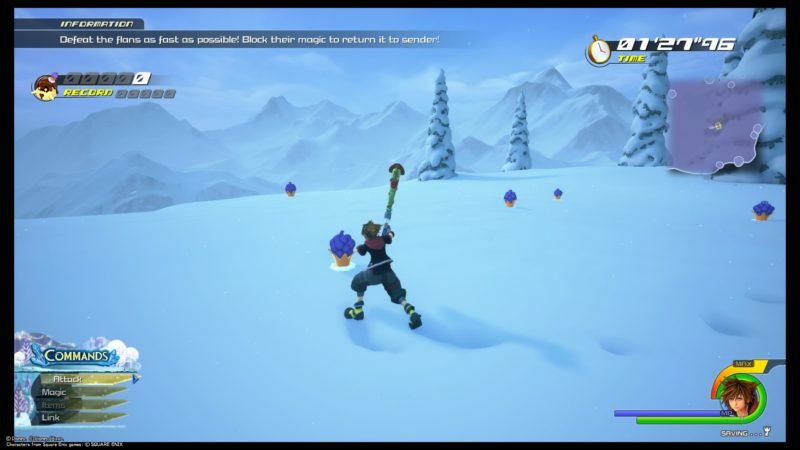 You will be using Goofy’s shield as a sled and you have to collect as many flans as possible by colliding with them. As mentioned above, you should aim for at least 10,000 points. The basic reward is a Sour Cherry. 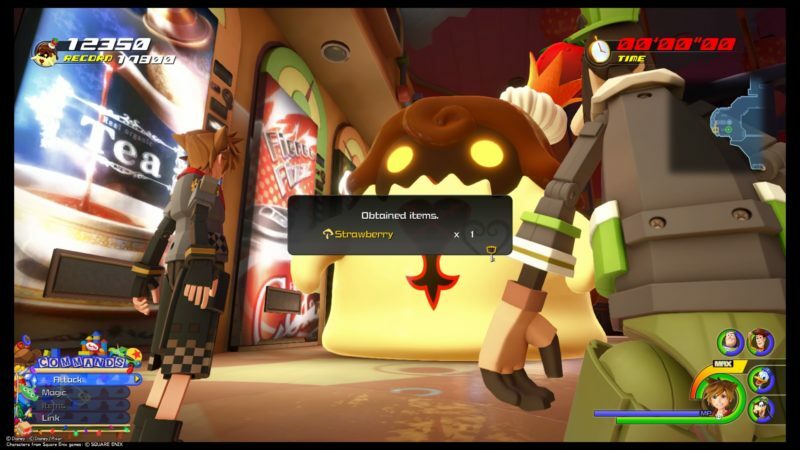 As for the Strawberry Flan, you can find it in the world of Toy Box. 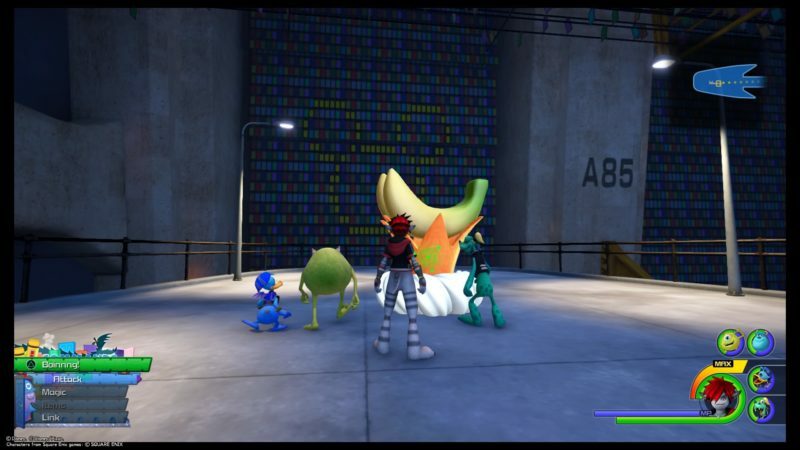 The save point is called Rest Area, which is probably on the 3rd floor of Galaxy Toys. The mini game is also quite direct. 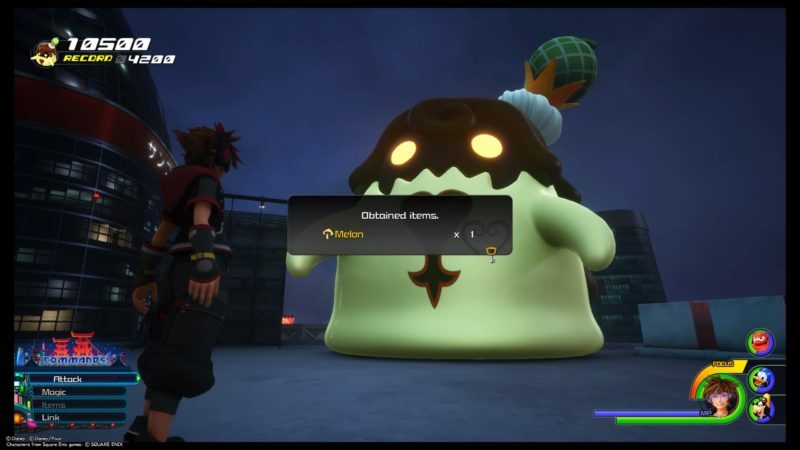 You have to collect as many flans as possible by bumping into them. They are either on the floor or hanging from the ceiling. Keep stacking the flans up but you need to avoid the strawberries who are out there to bump into you. You will lose some flans if you bump into either the surroundings or the strawberries. You should get a Strawberry as a reward. The third one of Flantastic 7 is called the Blood Orange Flan. This one is found in the Kingdom of Corona. 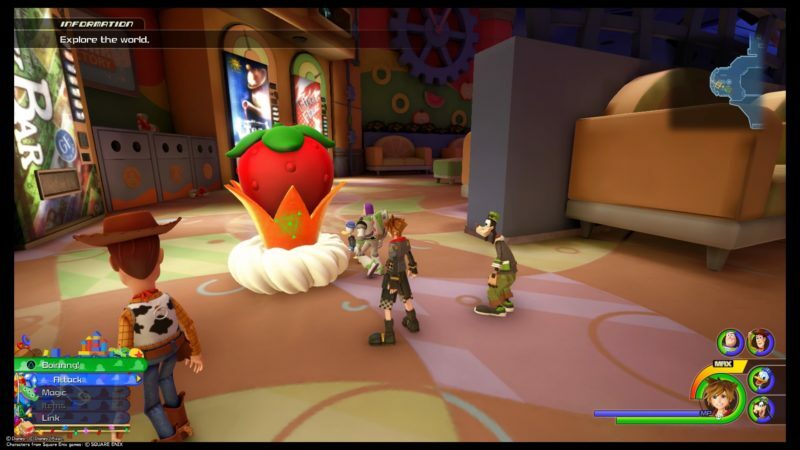 The easiest save point to use is the Tower (Rapunzel’s). 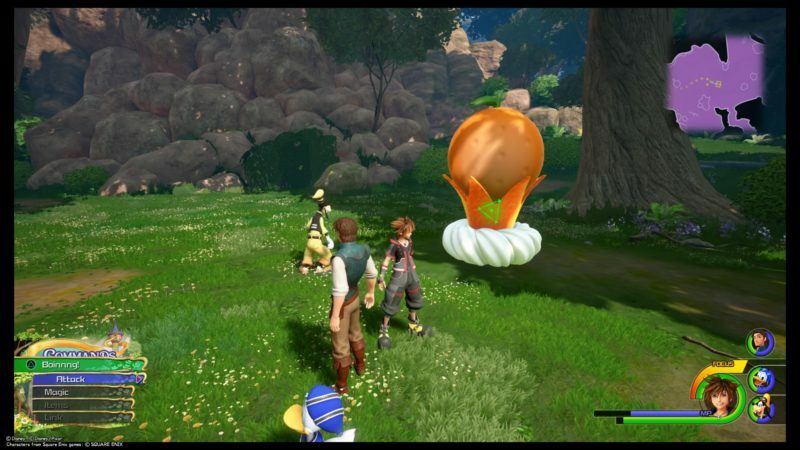 Get out of the Rapunzel Tower area through the small walkway, and you will see the flan just outside of it. This mini game is quite tricky. You need to take seven photos, no less no more. In order to score 10,000 and above, you should aim to get “Excellent” for each shot. Before attempting the game, you need to have 7 free spaces in your photo album as well. 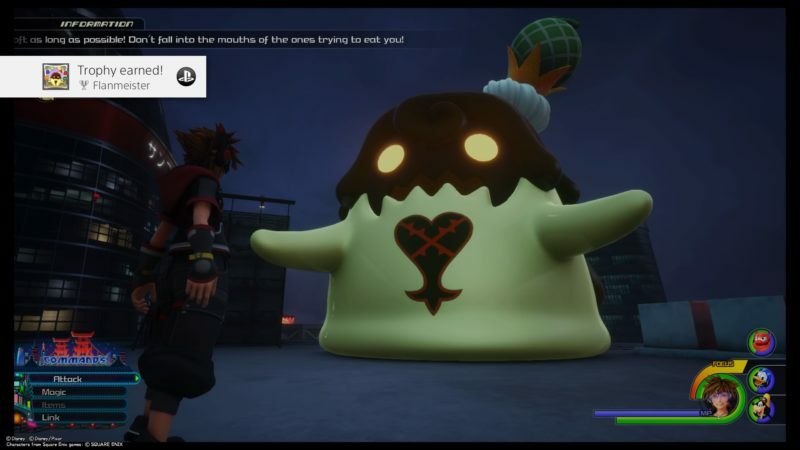 The trick to getting excellent points is by taking a photo when the flan is making a pose. The pose refers to a one hand pointing up pose. An easy way to get them to do the pose is to block their way. When you see it walking, stand in front of it. Sometimes it will make that pose immediately. 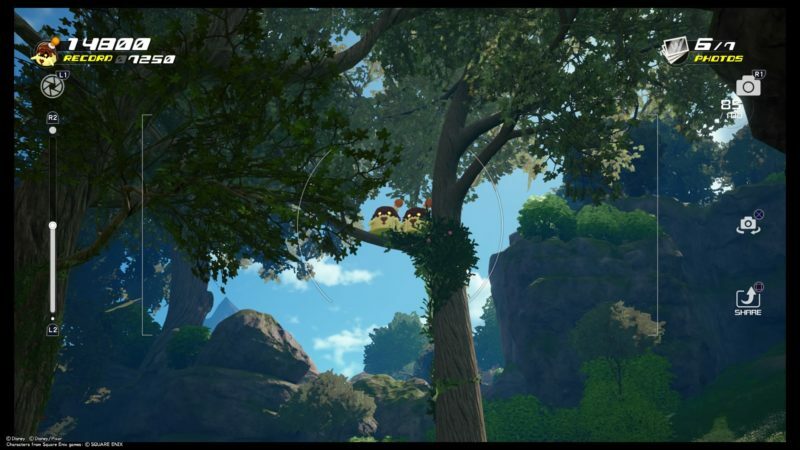 There are also more unique poses, like some are on the tree, and others are playing with butterflies. For the one with butterflies, take the picture when it jumps up. You will get a Blood Orange as a basic reward. 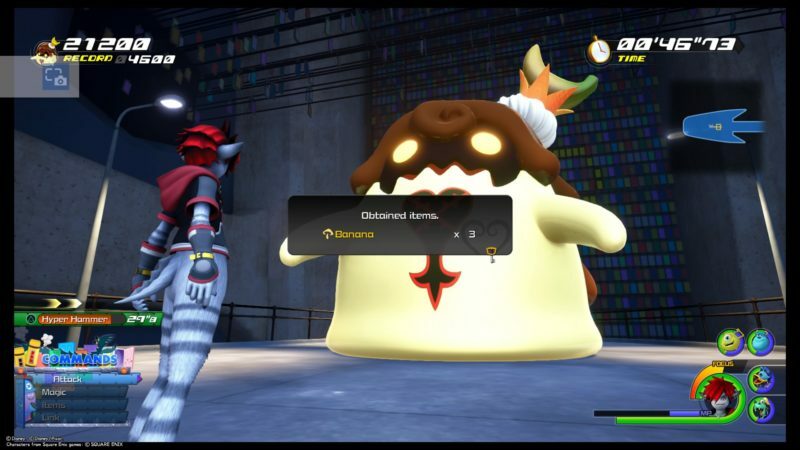 The fourth one is the Banana Flan and you can find it in Monstropolis. To get there, use the save point called Basement. As you spawn, you will notice a white door right in front or beside you. Enter the door. You will then reach the Door Vault. Get towards the end where you see plenty of doors on the wall. Use the second door from the left (brown in color and leads back to the Laugh Floor). 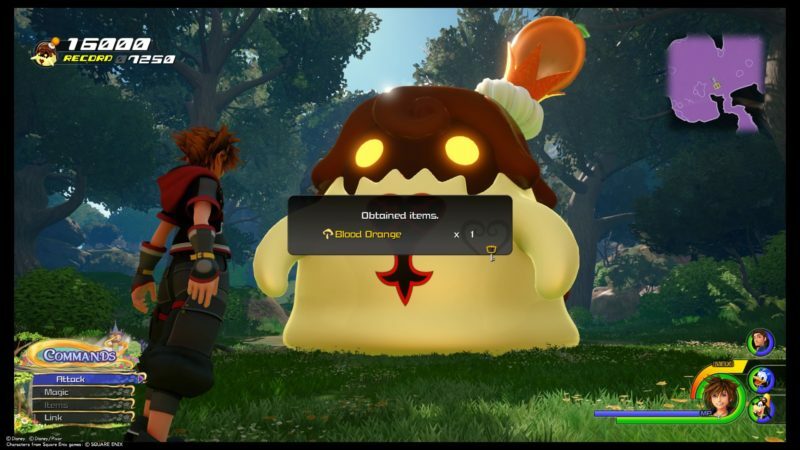 Once you’ve gone through, you will see a Banana Flan towards one end of the area. It’s in front of the lucky emblem. 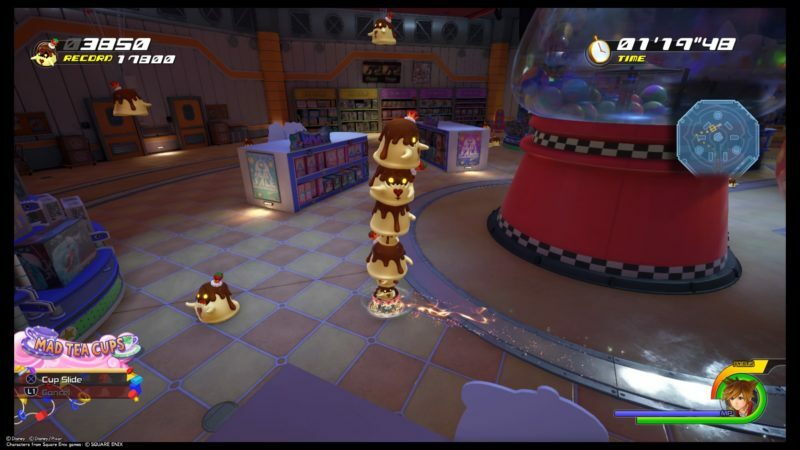 This mini game requires you to defeat as many mini flans as you can, before you get devoured by the big one. Keep dodging the big guy and hit the mini ones. If you get attacked by the big one, you’re done immediately. The trick to racking up 10,000 points is by using magic like Aeroga or some other AoE attack. 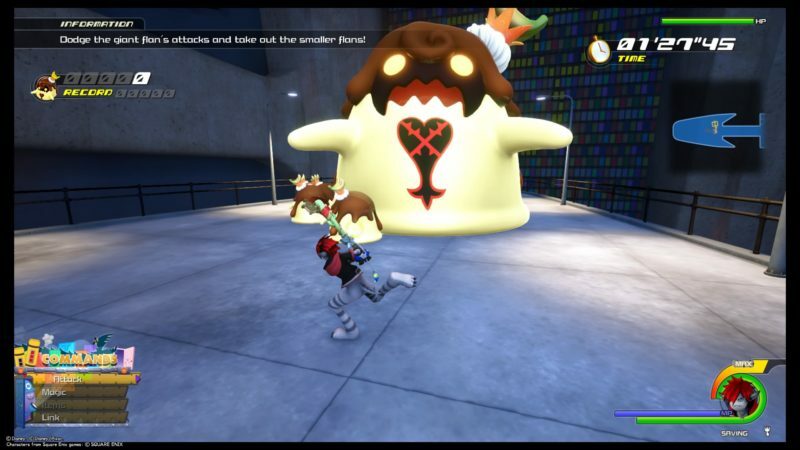 You can also use shotlock and Ragnarok to attack many flans at one time. You will get a Banana as a basic reward. 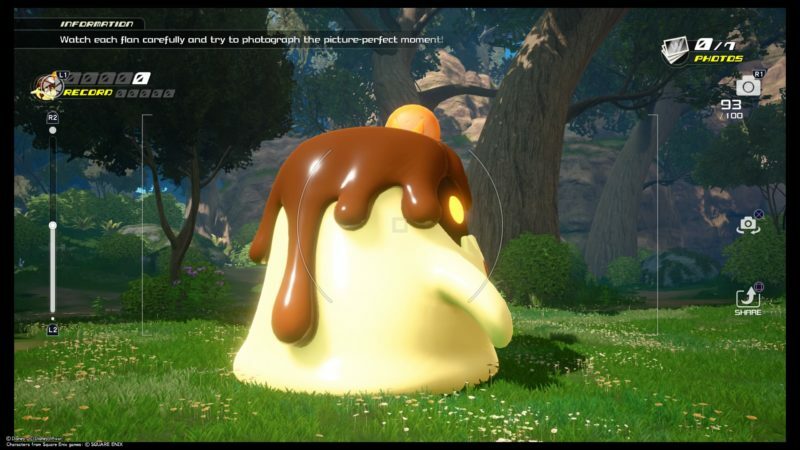 The fifth flan is the Grape Flan and it’s available in the world of Arendelle. To get there, use the save point called Mountain Ridge. 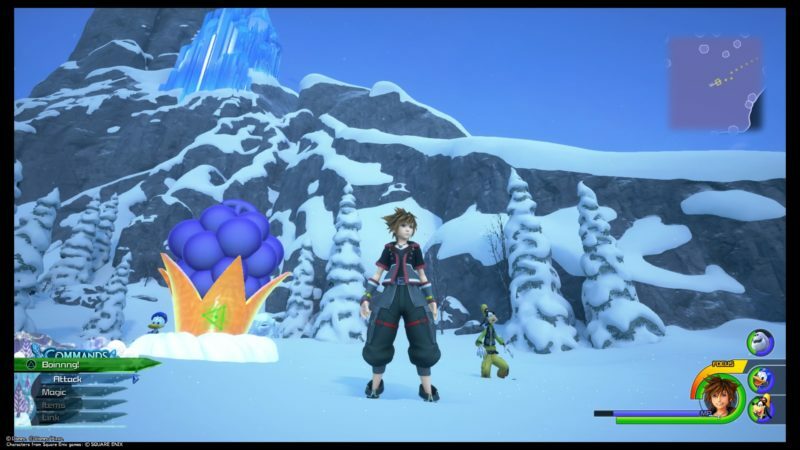 It’s the one where you spawn right in front of Elsa’s castle. After spawning, go towards your left which leads to apparently nothing. Jump down from the cliff and you should reach the Grape Flan. This mini game is quite easy. 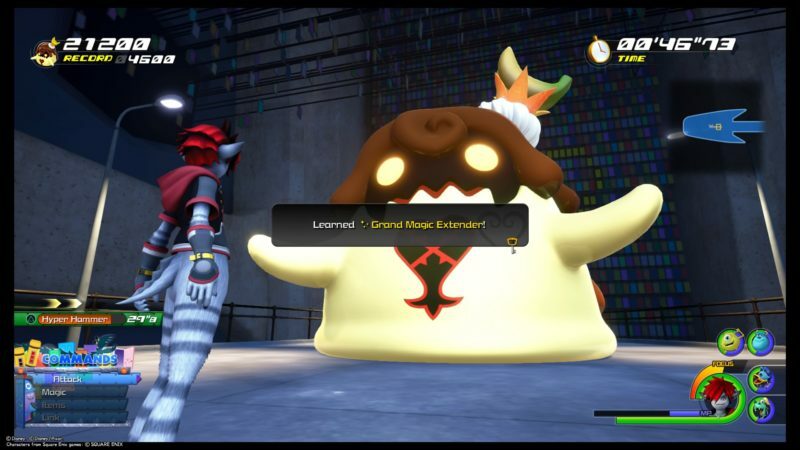 Just defeat as many flans as you can within the time limit. You will earn Grapes if you exceed 10,000 points. In order to exit the area, you need to jump down again. Look for one of the edges where the radar indicates that you can still go further (light purple). After jumping down, you will reach another save point. You can exit from there. The sixth one is the Watermelon Flan. You can find this in The Caribbean. Use the save point Port Royal: Fort. You will spawn inside the fort, which is above the prison area. Just walk out through the arch and you will see a wide space with a Watermelon Flan. This mini game requires quicker reflexes. 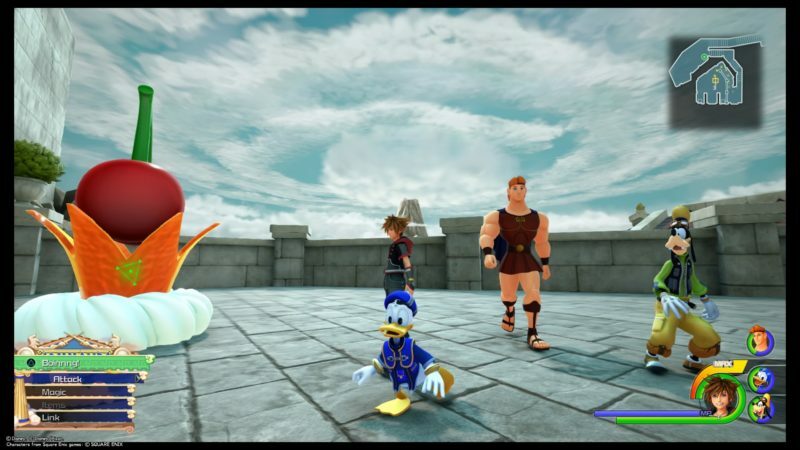 You need to use Sora to hit the cannons. The cannons will then fire at the flans. If you hit the middle bell, all cannons will fire, but this is a limited use skill. After using it once, there’s a cooldown period. 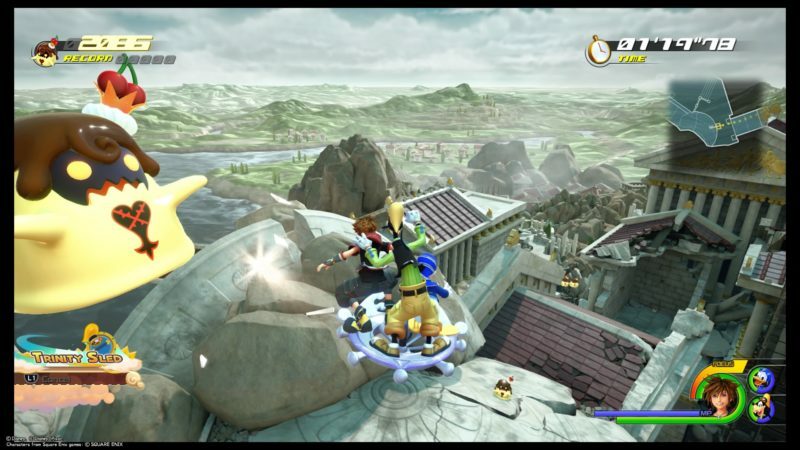 You need to control Sora by going left and right, and hitting the relevant cannons. You will lose immediately if any flan approaches too closely. The basic reward is a Watermelon. This time, even 24,200 points wasn’t enough for the higher reward. The last flan in the Flantastic 7 is the Melon Flan. You can find this in San Fransokyo. The only save point you can use is the one that brings you to night time, i.e. South District (night). After spawning, turn around and you will see a building called John’s Fashion Center. It’s right behind you. Just climb on that building. Next, jump to the red tower (which is higher than most buildings). 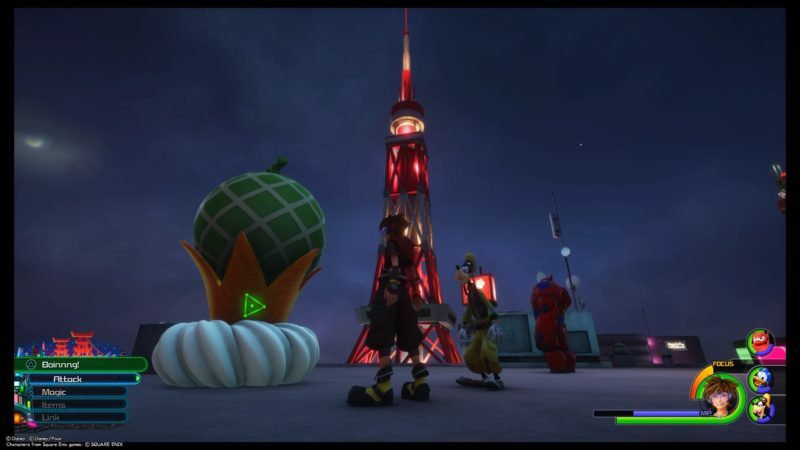 From the top of the red tower, look around until you see a Watermelon Flan on one of the nearby building’s rooftop. See image below. This mini game is all about accuracy. 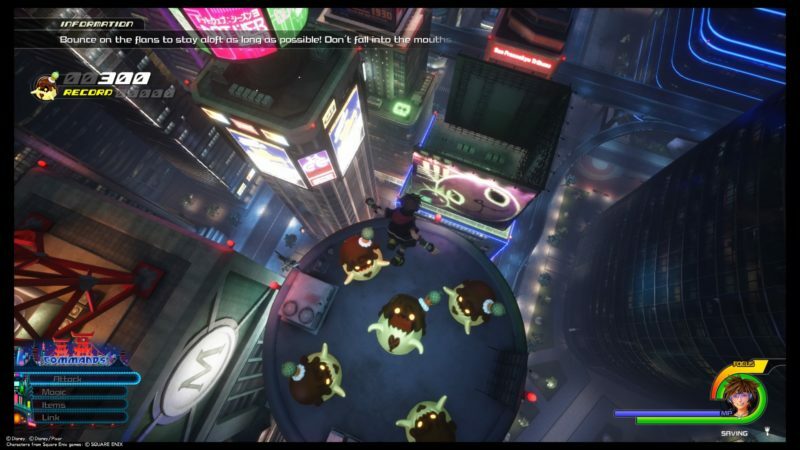 You start the game from the top and you need to bounce on the flans. Avoid those that opens their mouth towards you. After finishing all of the flans, you need to jump on a flan that has the yellow sparks around it. It will push you to another building with a new set of flans. Keep repeating until you get enough points. The basic reward is a Melon. And that’s it for all the Flantastic Seven locations. 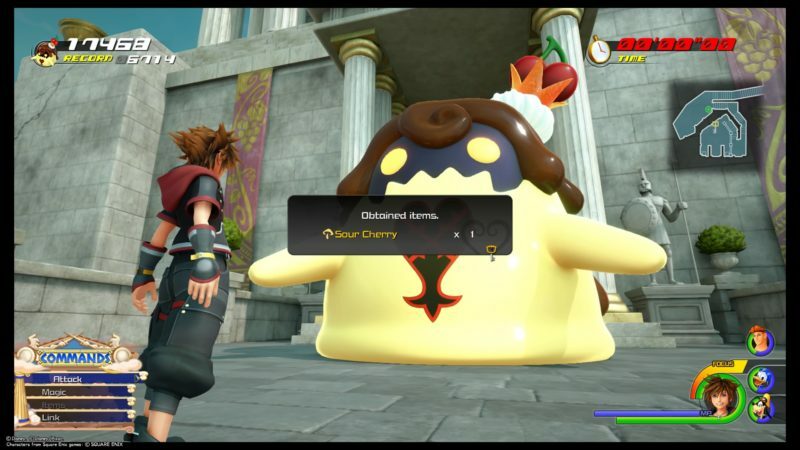 Hopefully you’ll be able to find all of the flan locations in KH3 after this.